La Jolla Shores is quaint and relaxed neighborhood surrounding a beach of the same name. 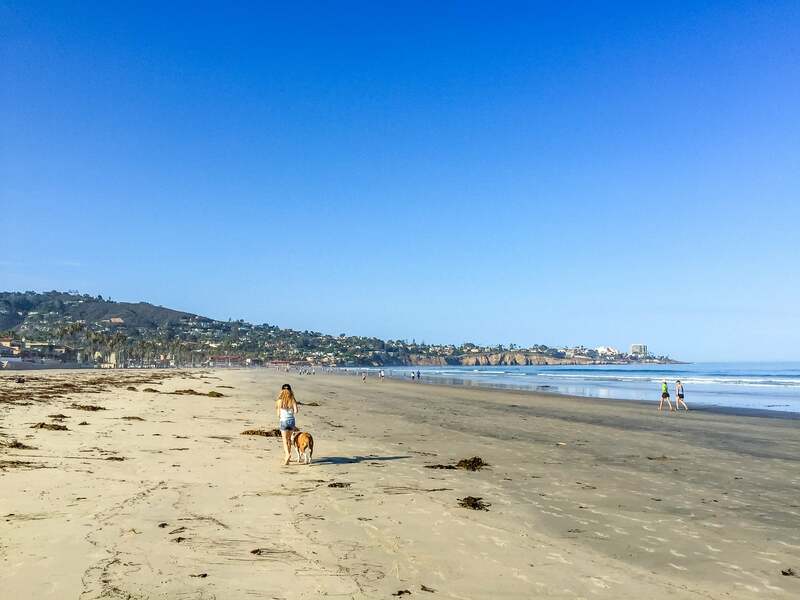 Popular with locals and out-of-town visitors alike, it’s just short drive from La Jolla Cove and perfect for a day at the beach in addition to enjoying the natural beauty that the city has to offer. La Jolla Shores beach is a peaceful place to walk in the mornings. 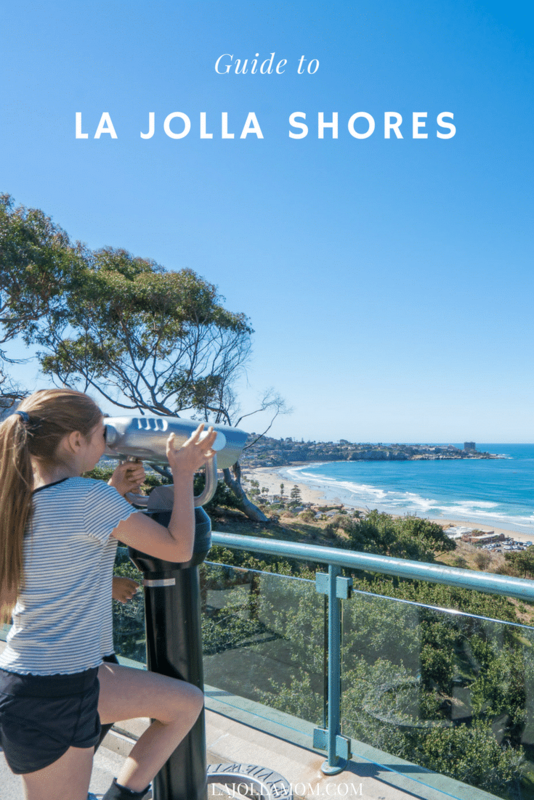 Contrary to what most people think, La Jolla Shores isn’t actually a part of La Jolla Village. La Jolla Shores refers to the popular La Jolla Shores beach, but the name encompasses rather the business district and neighborhood that surround the beach. This area is a little quieter, and definitely has a more laid-back vibe than you’d find in the bustling Village. The Shores is a great place to go if you’re looking for a day of relaxation and exploration. The beach area is expansive, sandy, and a perfect place for water activities. Its boundaries are roughly from UC San Diego’s Scripps Institute of Oceanography to the La Jolla Shores Hotel. But, there are also shops, restaurants and tours on the water to enjoy. To get to La Jolla Shores, you’ll need to take Torrey Pines Road to La Jolla Shores Drive. Depending on where in the Shores area you want to go, you can either head west on Avenida de La Playa (to the beach and hotels) or stay on La Jolla Shores Drive (to get to some restaurants and Birch Aquarium). This is our favorite beach in all of San Diego. 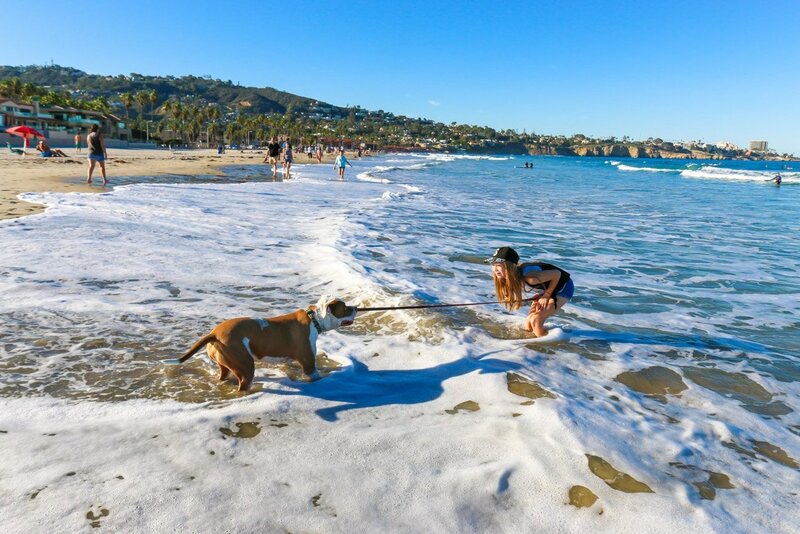 Dogs are allowed on La Jolla Shores beach before 9:00 a.m. and after 5:00 p.m. or 6:00 p.m. depending on the season. 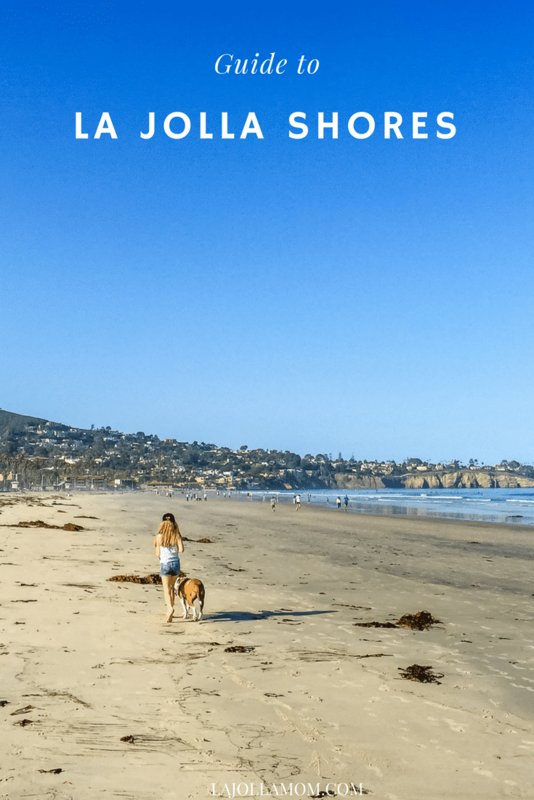 La Jolla Shores has been described consistently as the best beach in the area (and also as one of the best beaches in the nation on TripAdvisor) for good reasons. With calmer waters, tons of water sports and on-land activities including a playground, it’s a fantastic spot for the entire family. 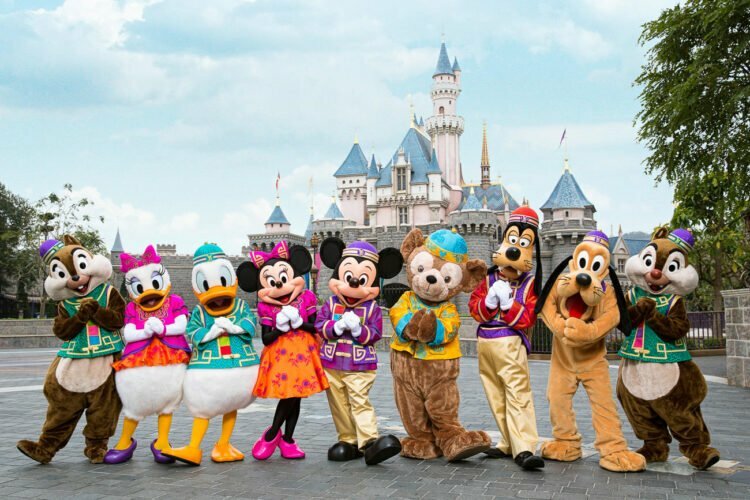 There are options for everyone from toddlers on their first visit to the beach to older children to adults looking for fast-paced adventure. Did you know there is also an underwater park here? Created in 1972, the San Diego-La Jolla Underwater Park was built as an ecological reserve to enhance sea life. It’s also what makes the waves usually small, so access to the park as either a snorkeler, kayaker or scuba diver is a breeze. This is truly a one-of-a-kind experience as it’s even been known to draw migrating whales. The beach is staffed by lifeguards from 9:00 a.m. to dusk. 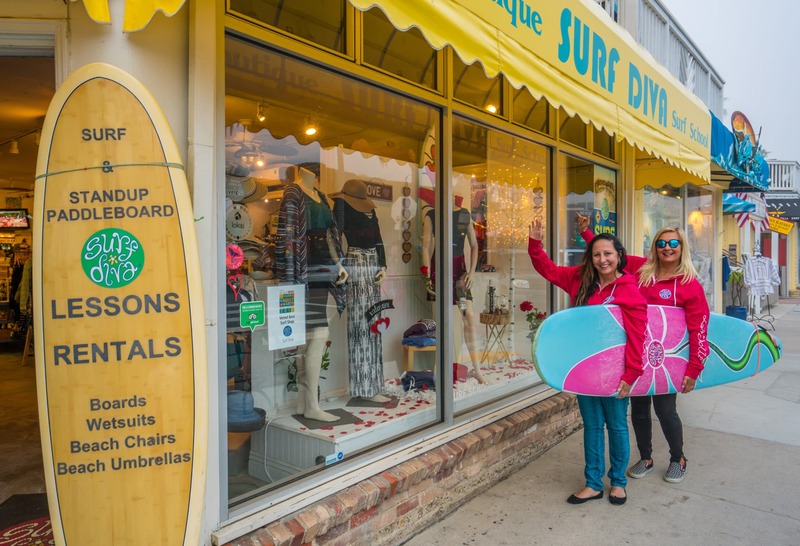 If you’d like to go the beach here but don’t want to drag the gear, Surf Diva also has beach chair, umbrella and boogie board rentals in addition to soft surfboards, hard surfboards and SUP gear. Here is their list of Surf Diva’s rentals. 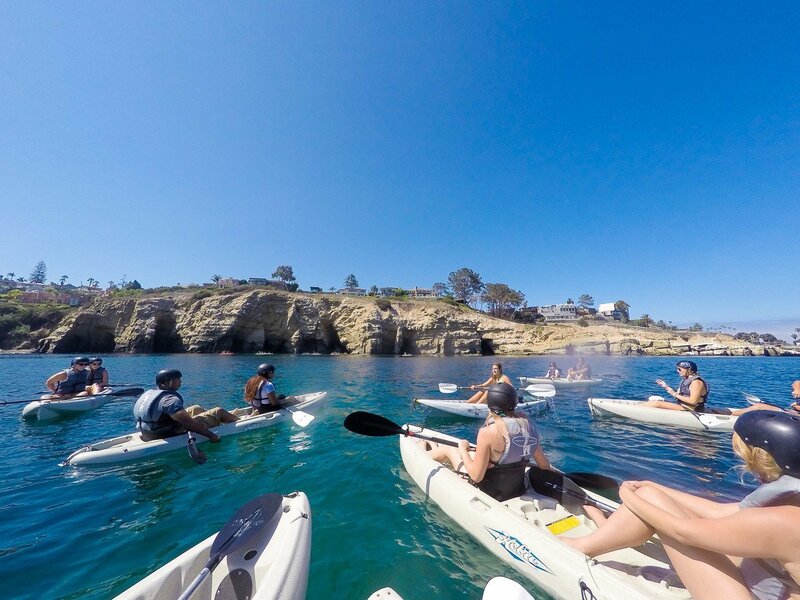 A variety of La Jolla Shores businesses offer tours, lessons, and rentals for those wishing to enjoy a day out in the area. I’ve mentioned briefly who offers what in the sections below and have randomized them as not to favor anyone. They’re all good but my experience is mostly with Surf Diva and Everyday California. 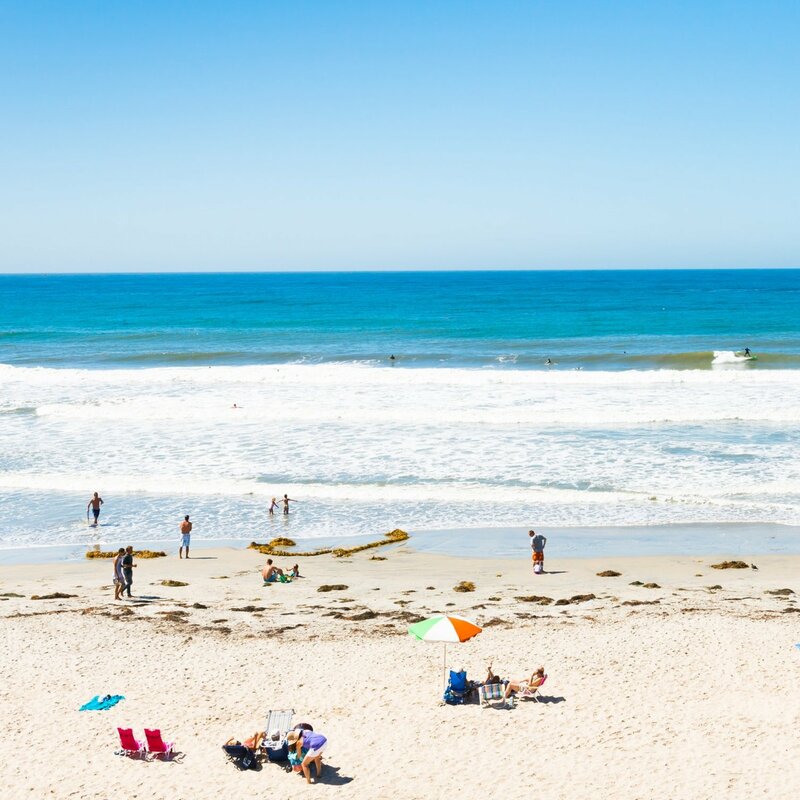 Surfing is one of the biggest sports in San Diego, and it’s no wonder that La Jolla Shores is where locals come to enjoy the “stoke.” With sandbars and easy waters, this is the place to get on a board, whether you’re a complete beginner or seasoned veteran. You’ll even see some little ones out there catching a wave. Looking for a lesson? Surf Diva is a great option. The knowledgeable, fun staff will help you learn the basics if it’s your first time. If you’re more experienced, they’ll help you take your performance to the next level. In addition to individual and group lessons, they have weekend clinics and women’s retreats. Kids aged 5–17 can also take a lesson or attend one of the many camps offered during school breaks. There’s even an after-school program for the very dedicated young surfer. Menehune Surf is also popular for lessons. A recent kayaking adventure I enjoyed courtesy of Everyday California. Sea kayaking might not be the first thing that comes to mind when you think of the beach, but as soon as you arrive at the Shores you’ll see how incredibly popular it is. You can also book combo kayak and snorkeling tours. La Jolla Shores is one of the top spots for snorkelers. Sea life is abundant, and if you’re lucky, you might even see one of La Jolla’s famous leopard sharks. Make sure to use the “stingray shuffle” when entering the water to avoid an unwelcome injury to the foot, since these animals have also been known to hang around the area. Want to go deeper? Dive in with a scuba tour. La Jolla Shores has unparalleled access to marine life and natural aquatic beauty, including a breathtaking 600-foot drop into a natural underwater canyon. There are options for tours if you’re not an experienced diver, too, including SD Expeditions. Do take the Birch Aquarium tide pooling tours, if on offer during your visit. 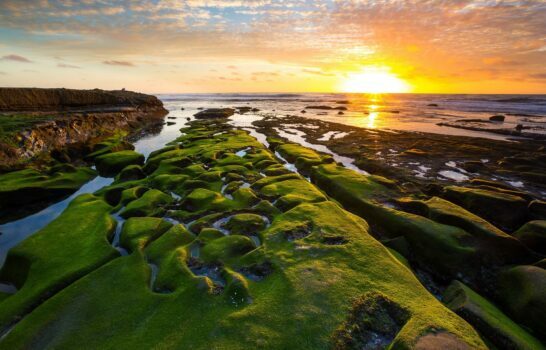 The Dike Rock tide pools are located just north of Scripps Pier on La Jolla Shores beach. They reveal themselves during minus tides in winter and are fun for all ages to explore. Common critters include hermit crabs, sea stars, sea cucumbers, small fish, rock crabs, the occasional octopus and more. The Birch Aquarium leads guided tide pool excursions that I recommend because the naturalists are excellent at spotting sea life. 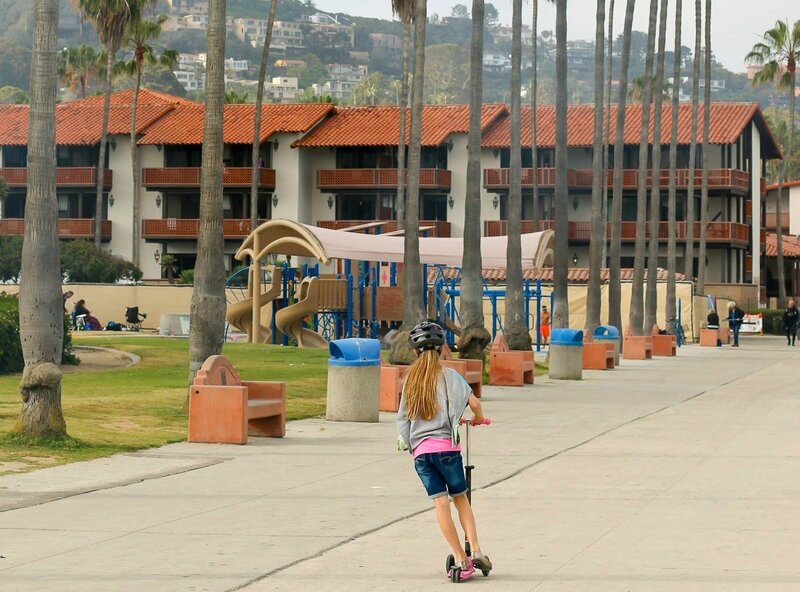 One of the best parts of La Jolla Shores is how kid-friendly it is. For youngsters who might be a little water-shy or just want a break from the excitement of the waves, Kellogg Park and its playground are steps from the sand. A huge grassy area here is also perfect for picnics, yoga, and games. The Shores are wide and spacious. 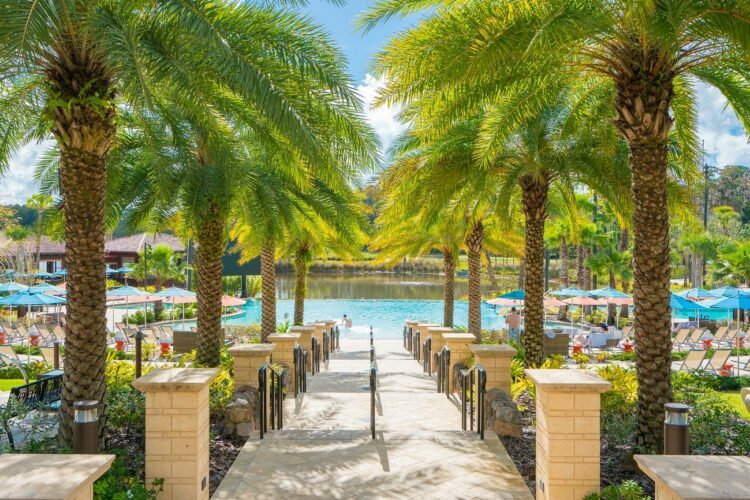 There’s a lot of room to build sandcastles, set up a volleyball net, toss a frisbee, or just soak up the sun on your towel. 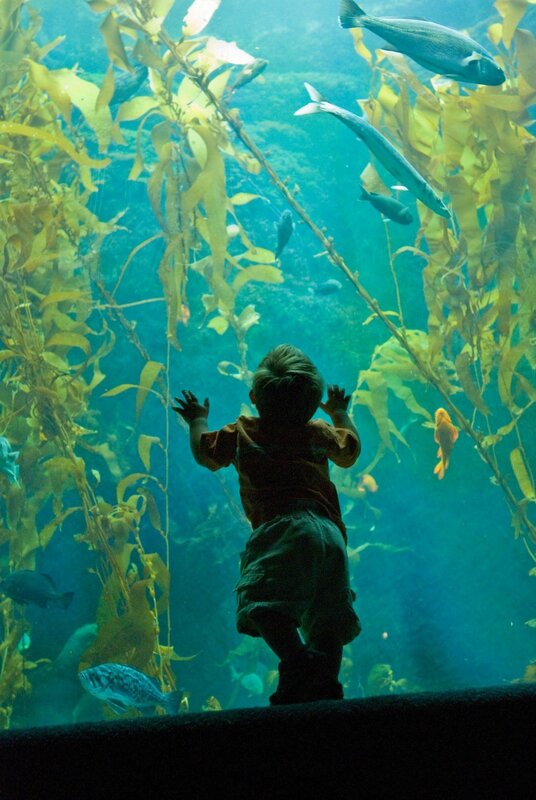 Kids will also love the Birch Aquarium, part of the Scripps Institute of Oceanography. 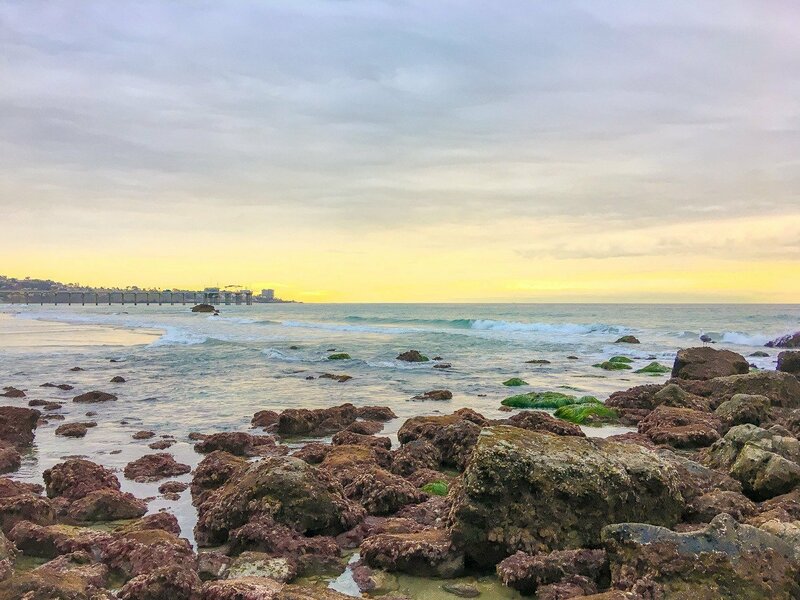 Located on the northern end of La Jolla Shores Shores, the aquarium offers exhibits, hands-on learning experiences, live shows, live tide pools on a stunning ocean view deck, and even a summer concert. Children under two get in for free, so this is an affordable and fun way to spend the afternoon if you’ve got some tiny companions with you. During the day, you can use any of the beach-side grills on the grass at Kellogg Park to whip up some burgers or hotdogs. But the fun doesn’t have to end with the sunset you can also use one of the fire pits on the beach to roast marshmallows over a roaring bonfire. Just make sure to get there early enough to secure a spot, since there are only six pits. Unfortunately, there’s no overnight camping, but you can have your fire going until midnight. Don’t worry if you forgot to pack something. The casual shops of La Jolla Shores have flip flops, swimwear, sunscreen, sweatshirts, sundresses and more. They’ll have you looking like a San Diegan in no time. Izzy and Coco Tihanyi in front of their fabulous shop. Run by sisters and La Jolla natives Izzy and Coco Tihanyi, Surf Diva is the boutique storefront for their popular surf school. They sell pretty much everything you can think of related to surfing or the beach, from surfboards (designed by Coco) and skateboards to Rainbow flip-flops and Hydro Flask water bottles. There’s plenty of “dude wear” for the male surfer, too, and swimwear for kids. Rusty Boardhouse is owned by another life-long local, Rusty Preisendorfer, along with his wife Annie. He’s been shaping surfboards since the 60s, so he knows his stuff. This an old-school boardhouse with one simple goal: provide high-quality surfboards to the people. While Rusty crafts and sells his own artisan boards, he also offers rentals of any equipment you might need. This is the place to go for anyone wanting a taste of authentic surf culture. Ocean Girl is the one-stop shop for stylish female surf fashion. The staff are always happy to help, and the store has a friendly and hippie-ish vibe. There’s apparel for all ages at this family-friendly boutique. You can even pick up a copy of a kids’ picture book authored by the owner. 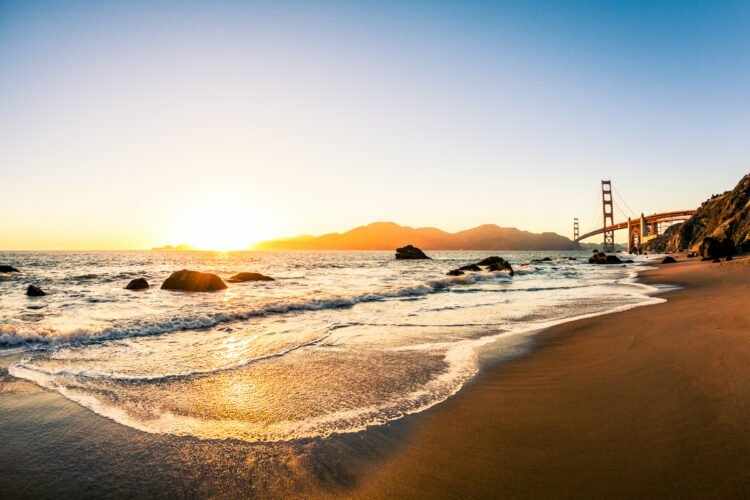 The owners of Everyday California, Chris Lynch, and Mike Samner, started their business in 2008 renting kayaks out of a car. Now, they’re one of the most popular gear rental and tour businesses in La Jolla. Everyone at this grassroots company is passionate and knowledgeable, so it’s a great place to book an adventure! You can book everything under the sun, from stand-up paddle boarding to whale watching. The store is full of high-end surf apparel, so check it out if you’re in the market for a warm hoody or pair of comfy shoes, too. This independently owned supermarket is a neighborhood favorite. Quaint and small, it’s known in the Shores for its friendly staff and good prices. Although the selection is pretty basic, it’s great for visitors who have a mini fridge to stock and has a nice stock of beer and wine. The real reason you’ll want to visit though is that you can build your own ice cream sandwich. For that reason alone we consider this little market a can’t miss! The Marine Room, winner of multiple awards including AAA Four Diamonds, is one of the most refined dining experiences you’ll find in San Diego. And, its building is set literally in the sand which means that the waves crash on the windows during high tides. Here you’ll find decadent options like Macadamia Blue Crab Cakes and Amarone Braised Lamb Osso Buco. The Marine Room also offers fun events like cooking classes, High Tide Breakfast, Lobster night (which is, you guessed it, an all-lobster menu) and of course, Happy Hour. It’s while it has its own entrance, The Marine Room has been a local institution since 1941 and is a part of the La Jolla Beach and Tennis Club. The Shores Restaurant offers top-notch cuisine with fantastic views of the water. Part of the La Jolla Shores Hotel, it’s a sophisticated spot with a more casual feel than its sister restaurant, The Marine Room, Come during the day to watch the waves crash on the beach as you enjoy lunch, or visit at night for a glass of good wine and tasty appetizers at happy hour. If you decide to drop by for the three-course Sunday brunch, don’t miss the Shores Benedict and the Tres Leches Cheesecake. For lunch or dinner, the Kaffir Lime Spiced Mahi Mahi is a must. Locally known for their amazing overstuffed sandwiches, this deli is perfect for a quick lunch or to go order that is perfect for taking to the beach. Cheese Shop crafts its sandwiches from their homemade slow-roasted meats served with a side of freshly made salads. A must try is their famous homemade flourless oatmeal cookies. They also have some fun vintage and imported candies and sodas that will bring you back a couple of decades, at least. 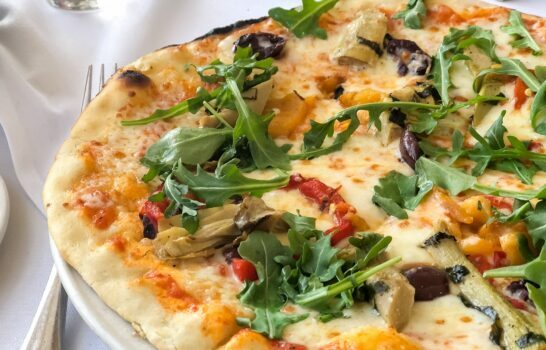 Piatti is a charming Italian eatery in the heart of La Jolla Shores. In addition to lunch and dinner, you can join them for a full Italian-style breakfast. Everything on the mouthwatering menu is amazing, but the dipping sauce for the fresh bread is what you’ll be dreaming about for the next few nights. Top off the meal with one of their many artisan wines. If you want to sit inside, you can see your food being made in the exhibition-style kitchen with includes a woodfired pizza oven, but otherwise, there’s plenty of outdoor seating on the cute covered patio. Out of the three Italian spots on this list, Barbarella is definitely the most relaxed and kid-friendly. Filled with an eclectic collection of art built into the architecture, it’s a fun place that has something to offer everyone. There’s lots of outdoor seating, where they serve breakfast, lunch, and dinner. For dinner, they’re famous for their Earth Stone Roasted Whole Fish. If you’re there for breakfast, you’ve got to try the Brioche French Toast. If you’re around during October or December, make sure to stop by, because they completely transform the restaurant for Halloween and the Christmas season. They also have free movie nights for the whole family, with free popcorn! Dogs are very welcome as they even have their own menu. Sushi Mori offers fresh fish at a very reasonable price. 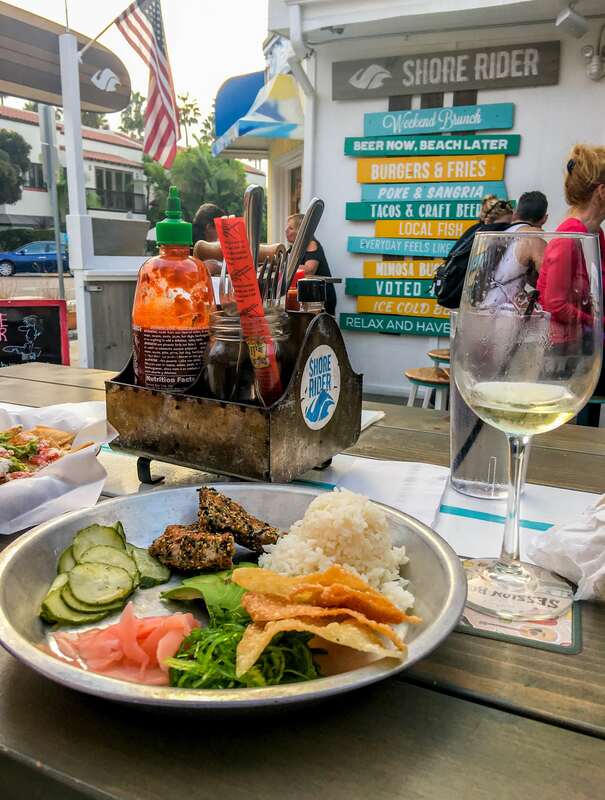 La Jolla locals and visitors alike appreciate this little sushi bar for both the laid-back atmosphere and the creative menu. Some of the top recommendations are the Pink Roll (salmon and tuna) and the Popcorn Lobster Roll (lobster, crab, avocado, and spicy mayo). There’s also a generous happy hour from 4:00–8:00 p.m., where you can choose from beer, wine, and ten different kinds of sake. Having recently opened in 2017, this dog-friendly cafe is a new addition to the La Jolla Shores community. Named after the owner’s French Bulldog, you’ll always find a little jar of treats for your four-legged friend here. For yourself, you’ll find coffee from local specialty roaster James Coffee Co., and fresh food made from organic and local products. The pleasant and plentiful outdoor seating, along with the free wifi, make this a nice place to get some work done, although you’ll need to factor in the time you take to pet all the cute dogs that wander in. Cooper’s is also known for its block parties, which it holds throughout the year for anyone in the neighborhood. With a whole “doggie menu,” Shorehouse Kitchen is another great place to bring your pup. Open for breakfast and lunch every day, this relaxed morning hangout kicks up your standard American fare a notch. Luckily, they serve breakfast all day, so you can still get the Salted Caramel Waffle if you roll in at 1:30 pm. If you are feeling something a little more savory, definitely go for the LJ Burger. On your way to the beach bright and early? Brick and Bell opens at 6:00 a.m. every day and is just a 5-minute walk from La Jolla Shores Beach. They have a full breakfast menu, but in La Jolla, this cafe’s name is synonymous with one thing: scones. Brick and Bell bakes them fresh every morning, and they sometimes sell up to a thousand of them in a single day. Ask to have one of them warmed up. You won’t regret it. I love this crusted seared ahi tin. Shore Rider describes itself as “an extension of the beach,” and it’s hard to find a better title. It’s the ultimate mix of surf and turf, with burgers, chips, and guac, and poke tins. Don’t let the chill vibe fool you though because this is some seriously high-quality food. The Crispy Little Squids (Calamari with parmesan and a lemon fennel aioli) are always a good choice, and kids will dig into the Mason Jar S’mores. Craving South of the Border, but want something a little different? Galaxy Taco, owned and helmed by Trey Foshee, Executive Chef at George’s at the Cove, is the fresh and funky take on Mexican that you’re looking for. Their house-made blue corn tortillas are unique enough, but they also have adventurous options like the Grilled Octopus Tostada for the more daring foodie. They have all your basics covered, too, including a kids’ menu with simple quesadillas and tacos. It’s also an amazing happy hour spot with 11 specialty cocktails, ten different Margaritas, four kinds of Micheladas, and a full beer and wine menu. You’ll want to visit them also for $15 bottomless mimosas at brunch. Sometimes all you want is simple, tasty food. Caroline’s is “California-style” food for when you’re looking for something on the lighter side. Try the Veggie Pesto, the Seasonal Chop Salad or treat yourself to one of their fresh-baked bagels. Whatever you decide on, you’ll get to enjoy it with a fantastic view from their (seaside) patio. Caroline’s Seaside Cafe is open for breakfast and brunch only. 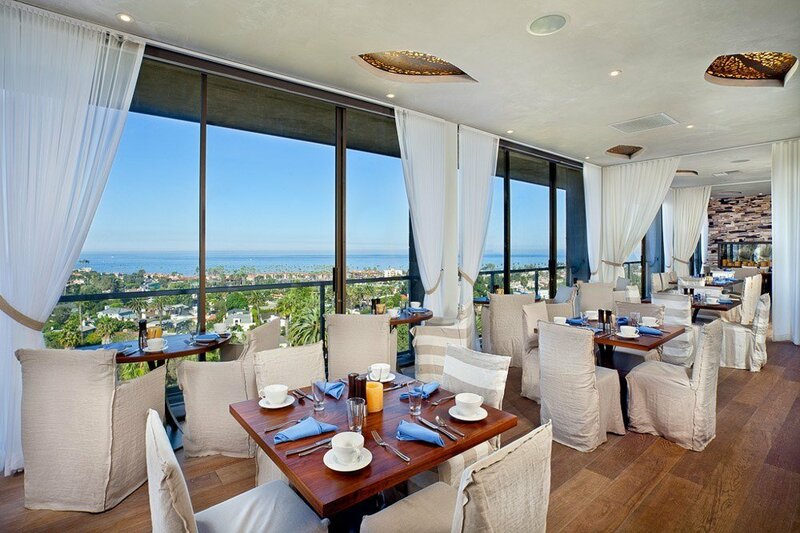 CUSP Dining & Drinks boasts a top floor location inside Hotel La Jolla. This means it offers diners one of the best panoramic views in San Diego. Go for coastal cuisine with locally-sourced ingredients. They’re open for breakfast and offer happy hour at the bar (go early as happy hour is popular). The flatbreads are particularly popular as are fish dishes including Chef’s Choice and ceviche. In my opinion, these hotels offer a quintessential San Diego experience and are often overlooked. La Jolla Shores has a central location with easier freeway access than many other popular tourist spots in San Diego. And, it’s an opportunity to stay right on the beach. La Jolla Beach and Tennis Club has a private beach. The La Jolla Beach and Tennis Club is an exclusive, beachfront members-only club that has been around since the 1930s and has 99 rooms that anyone can check into. It’s a very casual and unique beachfront experience. Speaking of the beach, it’s private. 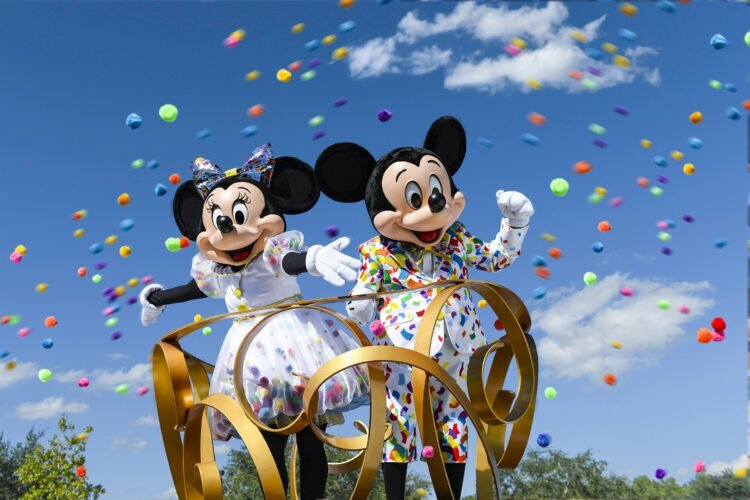 They will set up chairs and umbrellas as well as offer beach drink (including adult beverages) and food service. Depending on the season, guests can opt for a private beach BBQs or s’mores. Guests have access to the tennis courts and pitch-and-putt golf course onsite. It’s the type of place that generations of families return to every year and they do have accommodations for larger families as well. 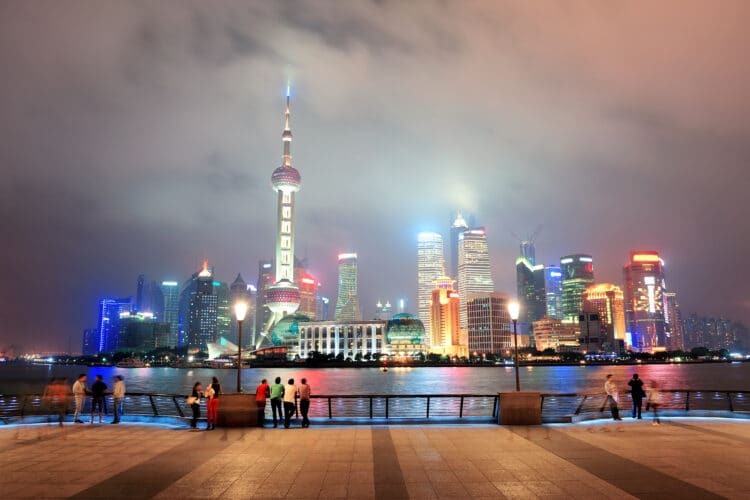 It’s not fancy but it does appeal to luxury travelers because of the experience. Get a room with a wrap-around balcony at La Jolla Shores Hotel for maximum ocean breezes! 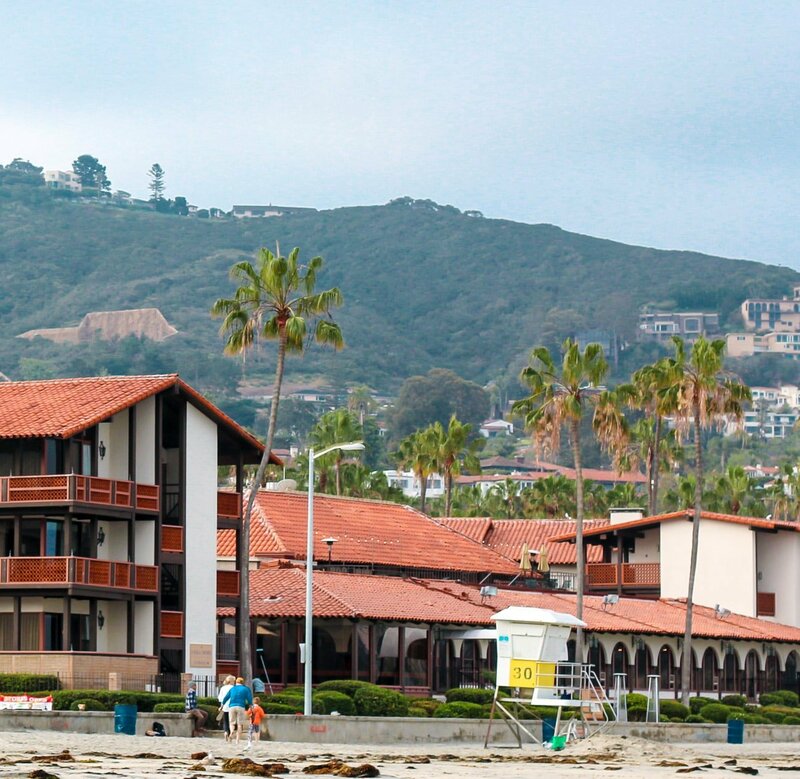 La Jolla Shores Hotel and La Jolla Beach and Tennis Club share the same ownership. They’re located right next to each other on La Jolla Shores Beach. The main difference is that the La Jolla Shores Hotel has more rooms and feels more like a hotel. They also set up beach chairs, towels, and umbrellas for guests on La Jolla Shores beach in addition to beach barbecues. 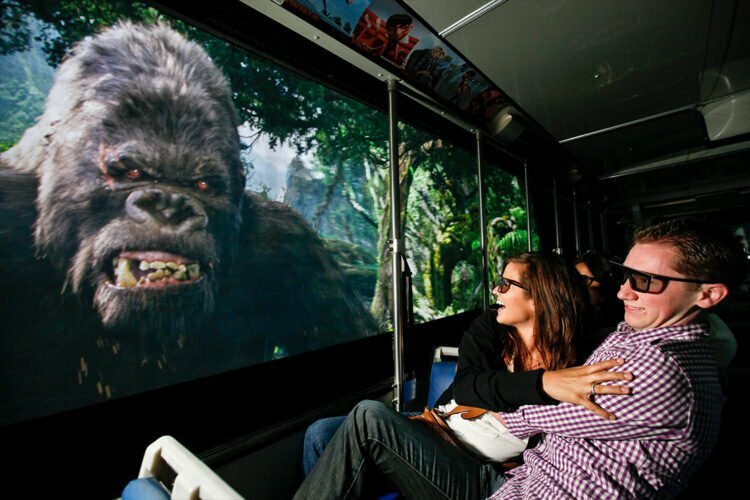 Another perk is that they have a complimentary shuttle that takes guests to nearby spots including the Birch Aquarium. I suggest the beachfront rooms with balconies or terraces. It’s a great option about a 10-minute walk from the beach. 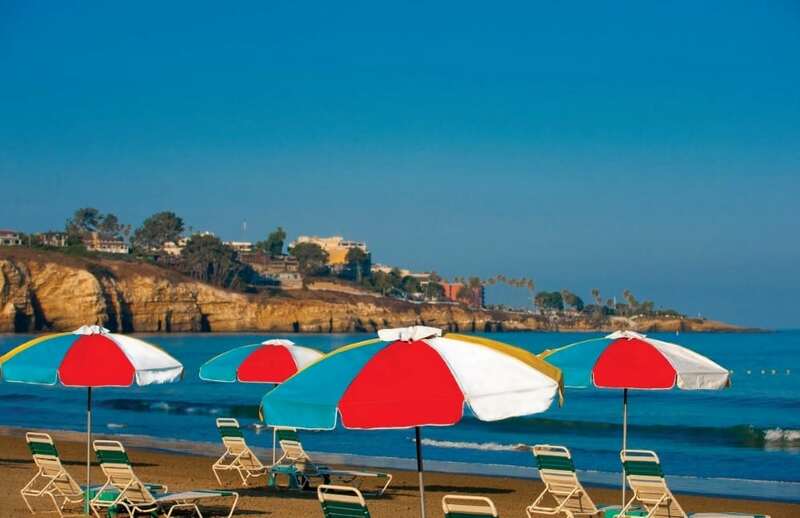 Hotel La Jolla is about a 10-minute walk from La Jolla Shores beach. 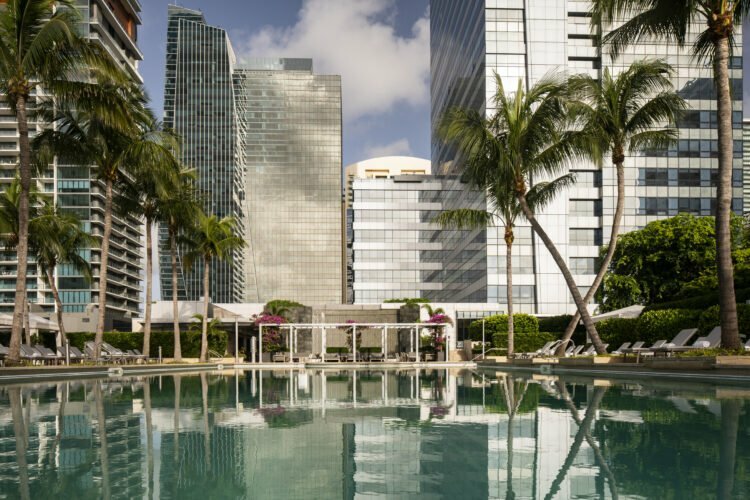 The contemporary boutique hotel is formerly a Kimpton and has contemporary rooms. While the other two hotels are in a better location, Hotel La Jolla is a good choice for Hilton HHonors members, those who like a newer feel to their hotel, or peak season when beachfront San Diego hotel rates rise. 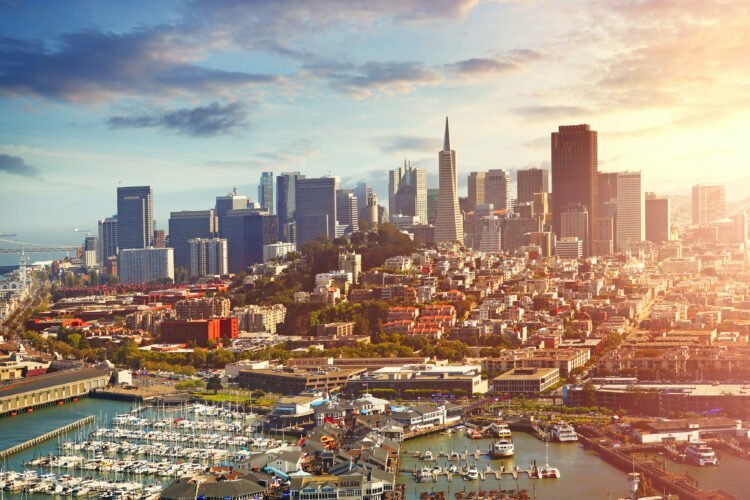 Usually, the best place to book this and many other San Diego Hilton hotels is direct through Hilton for the Hilton HHonors discount and other package options. What do you like to do in La Jolla Shores? Just a note to say a big thanks for providing information and guidance about our trip to San Diego. 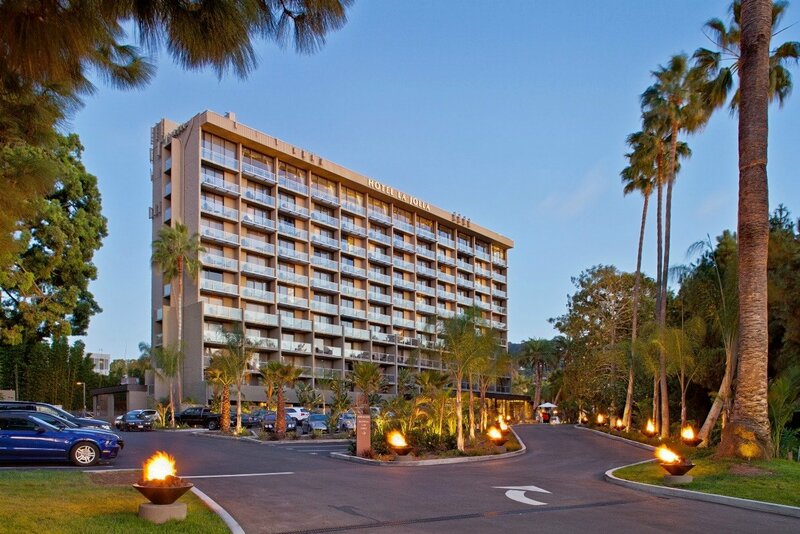 My mom (79 yrs old) and I stayed at the La Jolla Shores hotel and we highly recommend it. The restaurant was excellent, location perfect and pool warm enough for us cold Canadians looking for warmth. 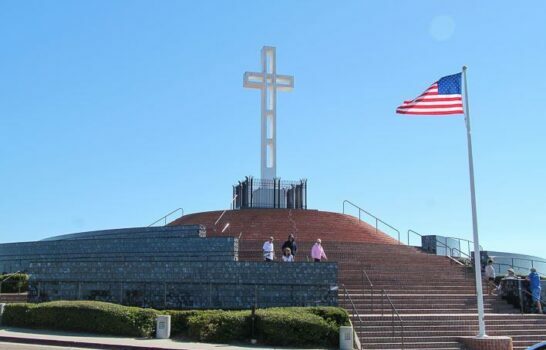 We also took your advice and drove up Hwy 101 to Torrey Pines park, Del Mar (shopping! ), and Oceanview (fun people-watching spot). On Sundays in Balboa Park there is a concert – perfect for music fans. Thanks for your help with our trip. It is now an annual Mom/Daughter trip. Niki! I’m so glad to hear it and that you enjoyed your stay at La Jolla Shores Hotel. 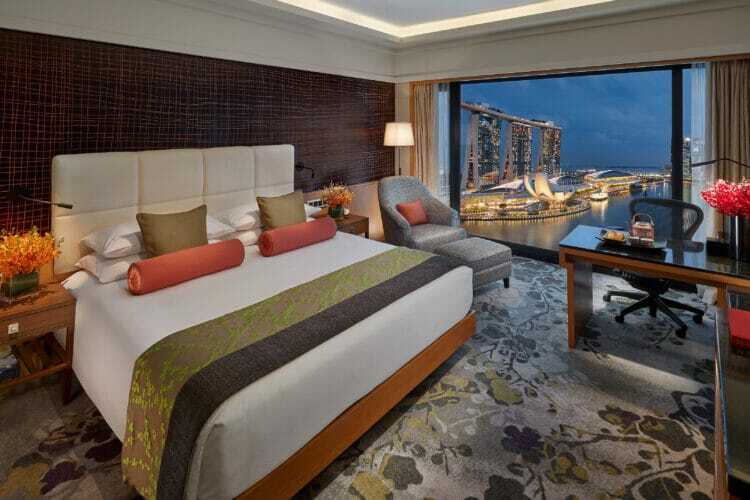 What a perfect spot for a mother/daughter getaway. Thanks for letting me know!